Today only get the best price around on a subscription to Disney Family Fun! You get a year of issues for $3.49 with code SOUTHERNSAVERS at checkout. 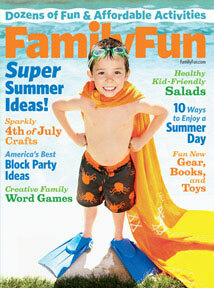 Family Fun is loaded with easy craft ideas and recipes you can make with your kids, plus games and lots of other cheap entertainment ideas. Honestly this has become my older girls favorite magazine! You can get up to 3 years at this price. Please allow 8-12 weeks for your first issue to arrive.